Teemu Pulkkinen is headed to the desert. 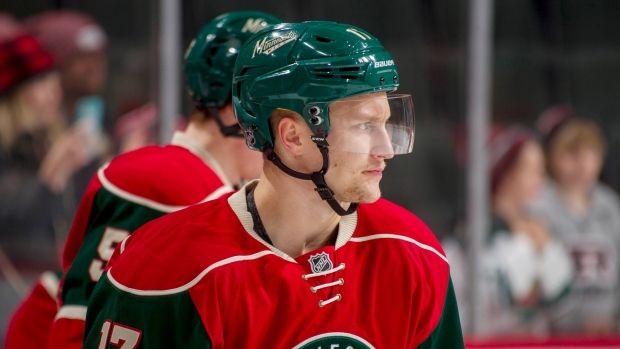 The Arizona Coyotes announced on Monday that they had acquired the 25-year-old winger from the Minnesota Wild in exchange for future considerations. A native of Vantaa, Finland, Pulkkinen has appeared in nine games with the Wild, recording a goal. He was named an American Hockey League All-Star this season with the Wild's affiliate, the Iowa Wild, where he registered 18 goals and 18 assists in 47 contests. Originally taken in the fourth round of the 2010 National Hockey League Entry Draft by the Detroit Red Wings, Pulkkinen has 12 goals and nine assists in 79 games with the Wild and Red Wings over four seasons.